APR Performance’s 2017 Holiday Special start December 1, 2017 and end January 2, 2018. Be sure to enter the Coupon Code: HOLIDAY15 to get 15% off + Free Shipping (within lower 48 States) in the Shopping Cart Section before check out. 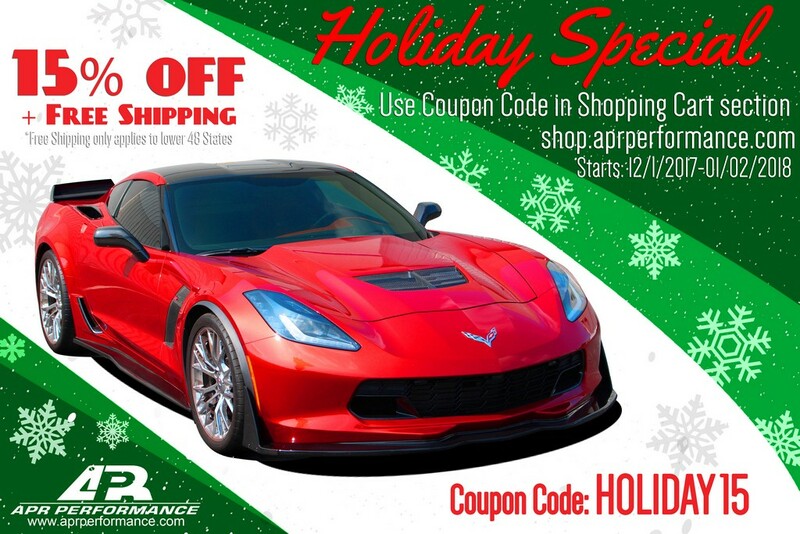 Take advantage and shop through our complete catalog of high quality performance products. Don’t miss out on on this great deal.